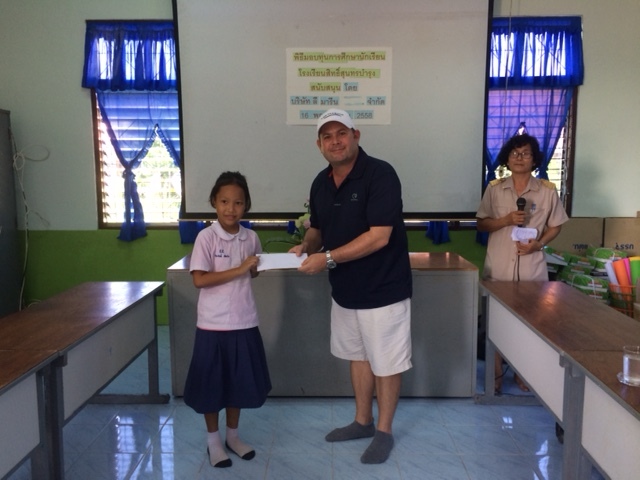 Lee Marine donated to the Education Fund at Sithsoonthornbamroong School. 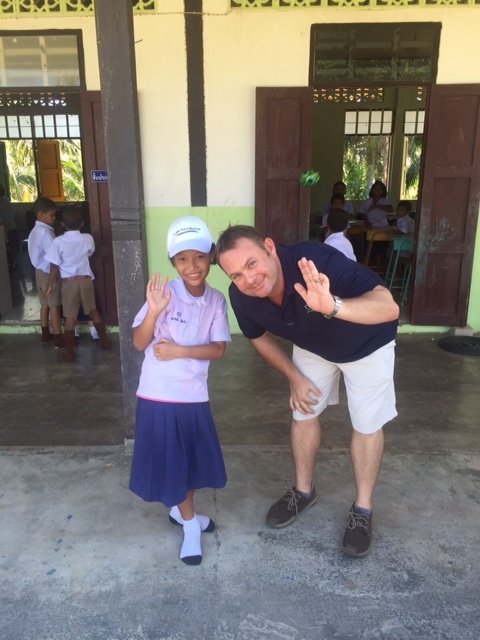 A very happy Ms Mint (Sidarat Pear-Ngern) is all smiles with Martin Holmes, General Manager of Lee Marine International Marine Brokerage. 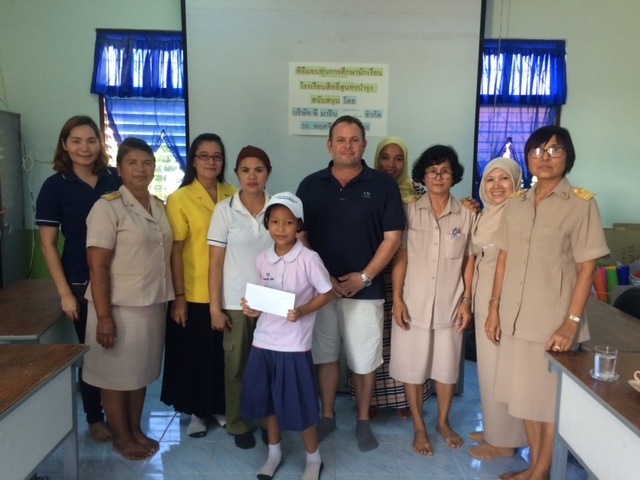 This month, Lee Marine donated to the Education Fund at Sithsoonthornbamroong School. The fund was given to Ms Mint who is known to be a well-mannered, bright student. Congratulations Ms Mint. Well done! 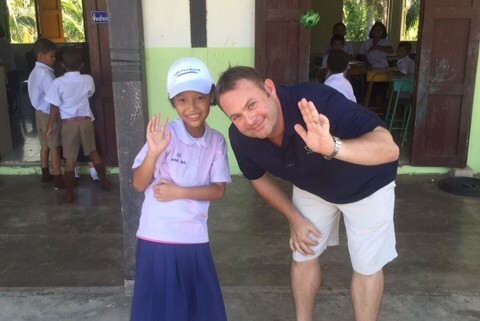 Ms Mint (Sidarat Pear-Ngern), a grade 2 student at Sithsoonthornbamroong School, has been recognised for her hard work and has been rewarded. Lee Marine’s donation to the Education Fund will help Ms Mint through her next semester. Teachers, officials and the some of the Lee Marine team, gathered at Sithsoonthornbamroong School on the east coast of Phuket to congratulate Ms Mint on her great efforts and good studies.